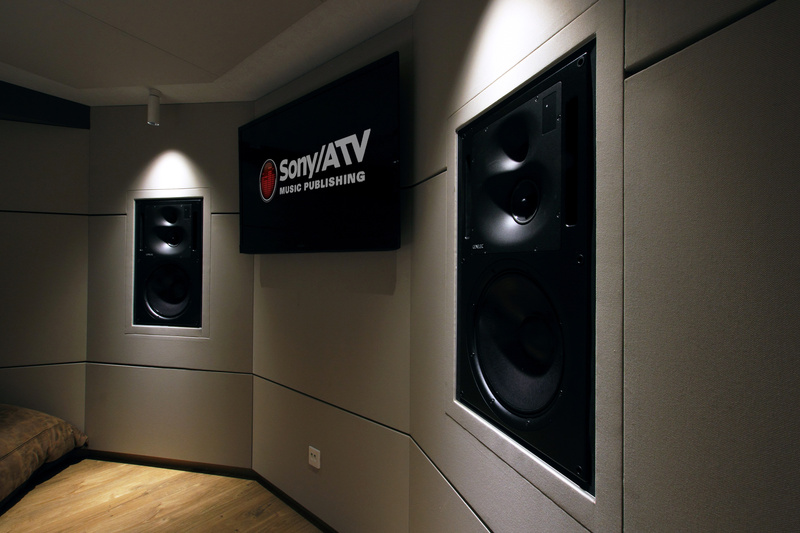 Sony | ATV Publishing | Pilchner Schoustal International Inc.
SONY / ATV Publishing has realized a modern multi-room facility offering recording and composition spaces for their clients. 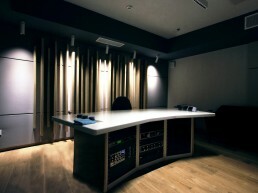 The facility The facility features a main control room / studio proper, and three other studios used for writing, editing and mixing music. 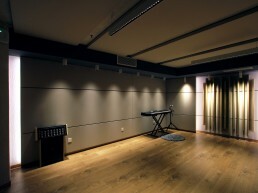 The facility is uniquely located in a downtown park setting, unlike typical commercial settings. 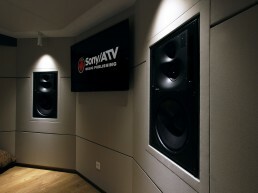 The 5.1 capable control rooms incorporate the PSI controlled reflection geometry design that yields a smooth flat response at the mix positions. 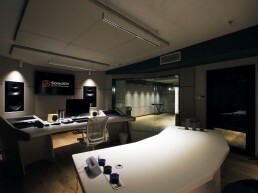 The finishes exploit a minimalist palette of natural finishes creating a clean and organic vibe throughout the spaces. 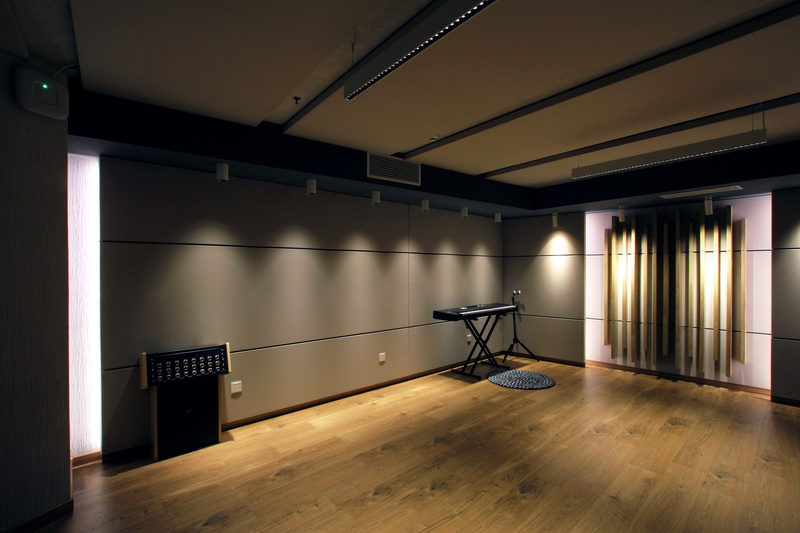 Acoustically each space has a linear and uniform decay time making the spaces suitable for a wide range of recording applications. 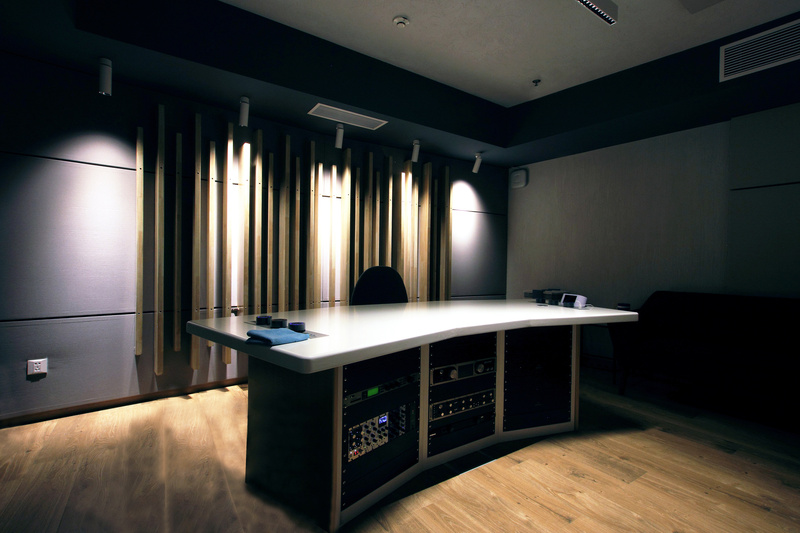 Acoustic treatments throughout are a combination of strategic specular absorbers, composite low-frequency trapping and diffusive elements. 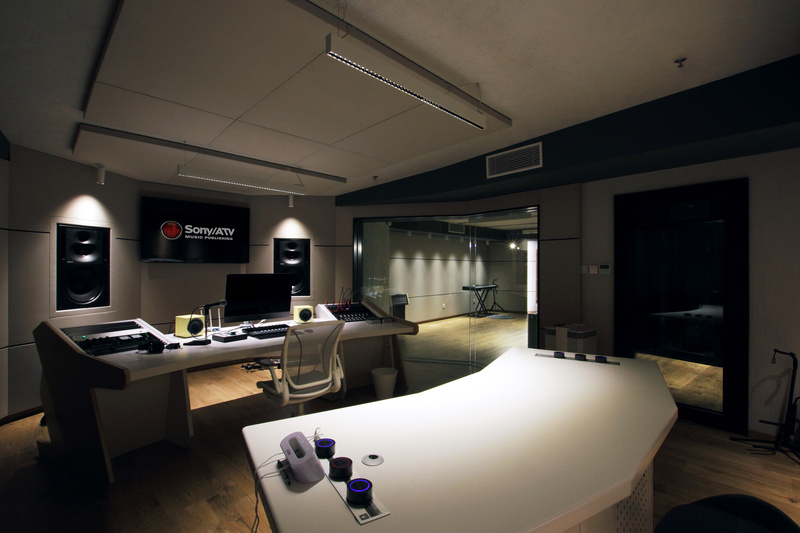 The space was carefully crafted from the PSI design by Huanyu Acoustics our strategic partner in China.